From warfare to surgery to transportation, robots are permeating every aspect of modern life. 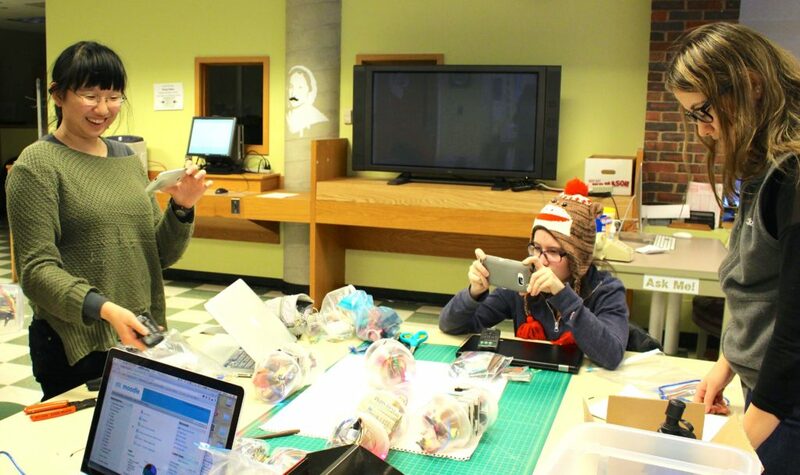 In my Introduction to Robotics course at Mount Holyoke, students explored the history and current state of robotics while programming and building a robot of their own in the Makerspace. Using the Arduino open-source microcontroller, students handled sensor input and designed interactions with the environment. Rachel Schmeider-Gropen controls her robot with a VCR remote. As the liaison to Film Studies, I inherited a box of remotes to every Sony VCR and TV on campus, many in their original wrapping. We used these remotes along with an open source library to talk to our robots. Found materials are a key component of my designs for teaching robots. 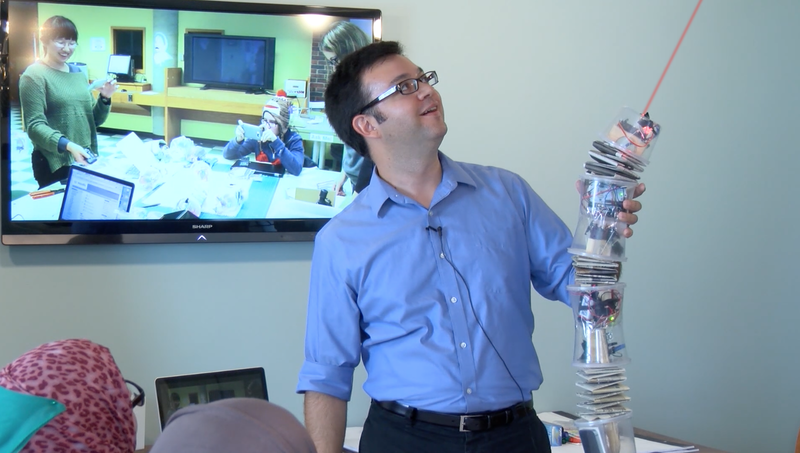 Using everyday items demystifies robotics while encouraging students to consider a very broad definition of technology, one that encompasses deli containers and newspaper along with circuit boards and servo motors. 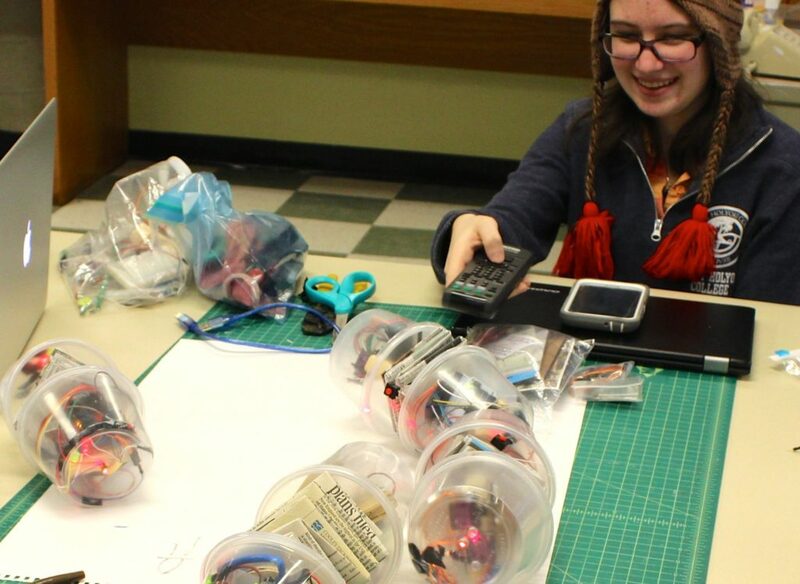 Alison Wong, Rachel Schmeider-Gropen, and Fikriye Kaya put some finishing touches on the robots. For more on my philosophy of teaching with technology, please watch my presentation to the eLearning Pioneers, a group of female faculty from Saudi Arabia who visited Mount Holyoke during a tour of U.S. colleges and universities. The robots wiggle and roll in testing mode, flexing their universal joint.